Everything is closing in on Donald Trump, and he’s so rattled, he’s taking out his frustrations on the handful of people who are still firmly in his corner. If you’re looking for evidence, look no further than the fact that Trump is relying on Mick Mulvaney so thoroughly, he’s got Mulvaney doing multiple jobs at once – yet Trump is treating Mulvaney more poorly than just about anyone. During a recent meeting with the Democrats, Mick Mulvaney was trying to negotiate a compromise over border wall funding. Donald Trump didn’t like how Mulvaney was going about it, so he yelled “You just f*cked it all up, Mick.” This is according to multiple inside sources who were in the meeting, and who relayed it to Axios. So why does this matter? It would be one thing if Donald Trump were profanely abusing Mick Mulvaney in private. But in this instance Trump cursed out Mulvaney in front of the opposition party, humiliating him in the process. You won’t find any fans of Mulvaney around here, and you could perhaps argue that he knew what he was signing up for when he agreed to become acting Chief of Staff for an unstable monster like Donald Trump. But there’s a larger point here. Donald Trump, simply put, is cracking under the pressure. He’s spiraling out of control so badly, he’s taking it out on his own people for all to see. Trump is also apparently too far gone to understand, or perhaps care, that something like this was obviously going to leak out publicly. The theory has always been that Trump can simply find more people to do his bidding after he runs them off. But he’s nearly run out of people, and now he’s making it very difficult for his remaining people to remain on the job. Trump is unraveling in real time, by the hour. 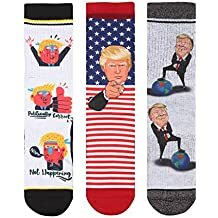 The post Donald Trump goes berserk, curses out Mick Mulvaney appeared first on Palmer Report. Memories of the dead should “not be desecrated as a rhetorical punch line,” said the president of the National Congress of American Indians. Senate minority leader wants US Treasury’s plans for Russian billionaire’s groups halted. “Dishonesty and corruption are endemic at the Federal Bureau of Investigation.” I agree with you, Gregg. Now we have to think what to do about it. And then we will have to do something. – M.N. The “Cabal Of Right-Wing FBI Agents” And The Trump’s FBI Files: Open, declassify, and publish all FBI files, and all the relevant information on Donald Trump! The public has the right to know, and in these circumstances this right becomes imperative. Donald Trump is a Russian operative, a traitor, a money launderer, and a killer of immigrant children. Once he’s ousted from office, he’ll be put on trial for all of his crimes, and he’ll never spend another day outside of prison. But before any of that can happen, the House Democrats have to find a way to oust the guy first. Now they’ve found a new angle for doing precisely that. Last week the House Oversight Committee announced that Michael Cohen will voluntarily testify in public about the crimes he committed with Donald Trump. This prompted Trump to resume his previous insistence that Cohen’s father-in-law is a criminal who should be investigated. Trump has offered no evidence to support this, of course, meaning it’s probably little more than yet another attempt at intimidation. That’s a problem for Trump, because Cohen is now a congressional witness, which gives him a new level of protection. The leaders of the top three House committees have jointly issued a warning to Donald Trump that he can’t engage in witness intimidation against Michael Cohen or anyone else who is going to testify. It’s not that the warning is necessarily going to stop Trump from continuing with this behavior, as he thinks he’s above the law. But it is laying the legal groundwork to nail Trump for contempt of Congress if he keeps making threats against people like Cohen. Keep in mind that while the Watergate break-in is what put Richard Nixon on a path to ouster, the articles of impeachment that finally forced him to resign were based around obstruction of justice. Now the House is preparing to expose Donald Trump as an out of control “president” who tries to intimidate witnesses against him by threatening their families. That’s a far easier crime for the average American to understand than Trump’s complicated, if 100% treasonous, relationship with Russia. It’s also what could lead to his ouster. The post House Democrats find new angle for taking down Donald Trump appeared first on Palmer Report. President Trump today said that he “never” worked for Russia, calling the idea of that “a big fat hoax,” after a report that the FBI opened a probe into whether Trump had fallen under the Kremlin’s influence. Evan McMullin, former candidate for President and former C.I.A. Operations Officer joins Roe & Anna to discuss how any level of foreign influence over the President is dangerous. The request was made after Trump’s team submitted written answers to a limited number of questions from Mueller’s team focusing on before Trump was in office. And the Trump team appears to have hardened its position. It’s told the Mueller team that prosecutors have no cause to seek follow-up questions in person after the President’s team submitted written responses to questions before Thanksgiving. In November, the President submitted written answers to questions submitted by Mueller’s office that dealt largely with the allegations of Russian collusion and the time period before the inauguration. It was nearly a year ago that both teams first negotiated a possible presidential sit-down with Mueller at Camp David. But those talks stalled after Trump’s legal team at the time disagreed on whether to go ahead with it. Since then, Trump’s new lawyers have counseled against doing an interview. Recent developments — notably Mueller allowing Michael Cohen, the President’s former lawyer, to testify publicly before Congress next month — have only lessened any chance of a voluntary presidential interview, the sources said. Cohen is set to appear before Congress after he pleaded guilty and was sentenced in December to three years in prison on multiple charges, including two campaign finance crimes tied to illicit payments made to silence women during the presidential campaign — crimes that prosecutors say Trump directed Cohen to commit. Cohen also revealed Trump spoke with him more extensively during the presidential campaign about the proposed Trump Tower project in Moscow than Cohen admitted to Congress last year. He said this while pleading guilty in federal court to a charge from Mueller’s office in November. This revelation appears to show Trump was engaged in business dealings with Russia in the midst of a campaign in which Moscow interfered to help elect him. If Mueller did send Trump a subpoena for a grand jury testimony, historical legal precedent suggests Trump would have to answer questions under oath. President Donald Trump‘s nominee for attorney general will tell senators “it is vitally important” that special counsel Robert Mueller be allowed to complete his Russia investigation, and said he believes Congress and the public should learn the results, according to remarks prepared for his confirmation hearing. The special counsel is required to confidentially report his findings to the Justice Department. Barr stopped short of directly pledging to release Mueller’s conclusions, but he expressed general support for disclosing the findings, whatever they may be. The remarks in support of Mueller are intended to reassure Democratic senators troubled by Barr’s past comments on the special counsel’s probe, including an unsolicited memo he sent the Justice Department last year criticizing the inquiry into whether the president had obstructed justice. 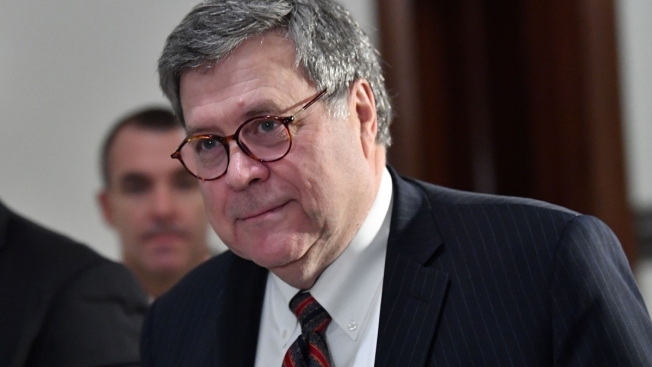 Those stances raised alarms that Barr could stifle the investigation as it reaches its final stages or make decisions that protect the president. Among the questions an attorney general might have to confront would be whether to approve a subpoena for Trump if he refuses to answer additional questions from investigators, and whether to disclose to Congress whatever report or conclusions Mueller turns in. Associated Press writer Michel Balsamo in Washington contributed to this report.